Which one are you getting: Minaria or Asphe? Both seem to be good. Asphe, an ART with a great movement ability and boost recharge debuff. Minaria with slow debuff and boost steal. Its a pretty tough choice, i see a very balanced number of Asphe and Minaria on the game right now. probably neither, just like last time. Minaria is okay, the impact effect indicates that her boost steal is a boost refill as usual though. I got Minaria. She's so poofy and cuddly and sweet, and her attacks and mobility powers are more useful than Asphe's are. She's practically got a built-in Ramdriver BS Parachute. It was tough to choose, but I picked Asphe. I'll wait until I'm finished with the cards, or at leat close to that. I think I've seen more Minarias than Asphes so far. I still don't know which to choose. Before actually picking an of them, I need to ask a few questions. 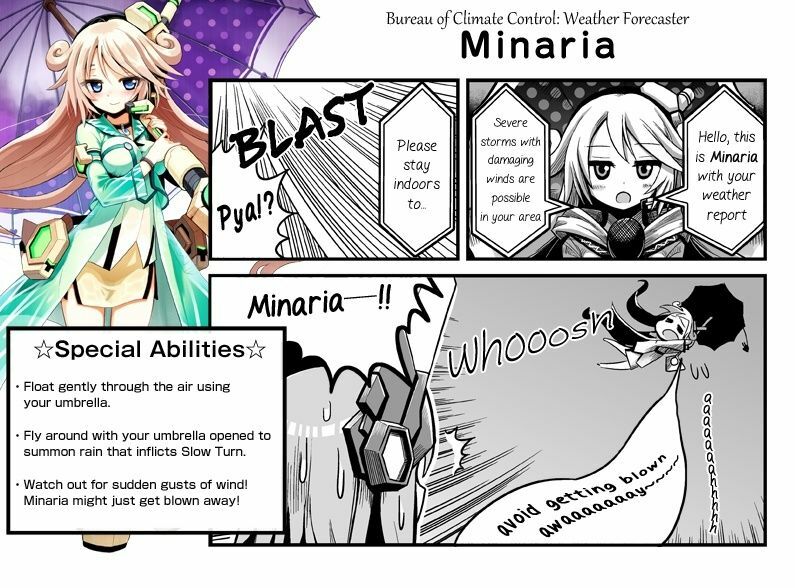 Does Minaria's umbrella parachuting works like Ravi Chronom's G-control or it's something else (I do know she rains snail bombs, I'm asking about her movement controls here)? Is Minaria's camera suitable for ground attacks, dogfights or neither? Can she go alpha (handheld weapons included)? If possible, how? Is her screwdriver of any good (well, it's somewhat a floating psychogun, so I think nothing much should be expected)? asphe can't even alpha with her default setup. her psygun seems to have some odd tracking where it likes to hit the ground. I did training arena with mine before I subgaraged her. Not really interested in playing either of these units. Minaria, then. And yes, her parasol-chute can change directions, as it turned out. i don't like lolis but an oppai loli is another story sure its a loli bit the difference is the big chest hence my choice was clear from the start. Well, technically they're both fun toys to play with, so choose whatever you please. "Gravity? Who gives a crap about gravity?" That gliding mechanics are so useful and allows a lot of maneuverability on the air. And her homing boost recover adds more usefulness to it so i don't have to land, i'll just use glide when out of boost, use boost-recover shot and keep flying. 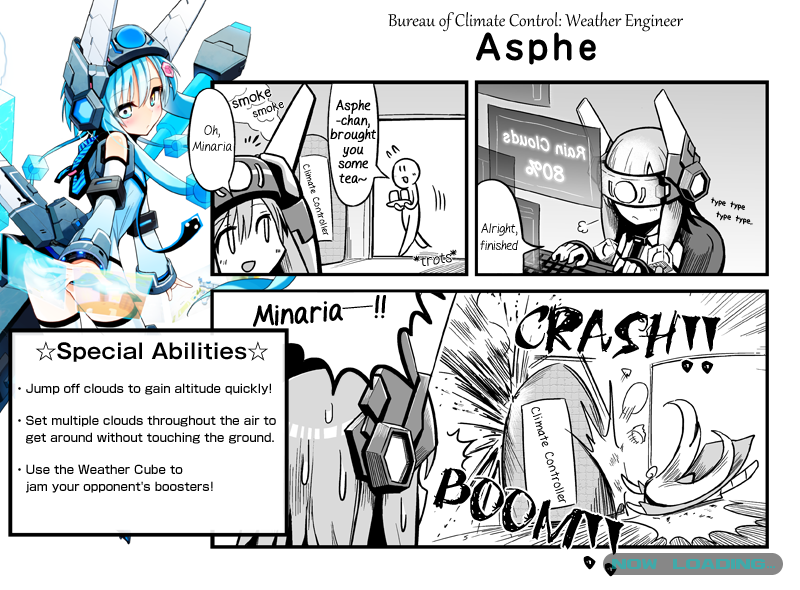 Subject: Re: Which one are you getting: Minaria or Asphe?